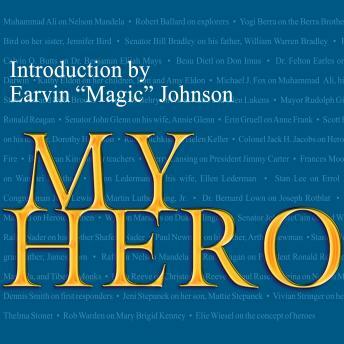 In the tradition of Marlo Thomas's The Right Words at the Right Time, My Hero is a stunning collection of essays by American heroes-including Michael J. Fox, Senator John McCain, Mayor Rudy Giuliani, astronaut John Glenn-about their heroes, inspiring examples of the best that we can be. In My Hero, some of the most prominent heroes and leaders of our time will share-in their own words-their thoughts and stories about the people who have been the greatest source of strength and inspiration to them. In these uncertain times, these stories about the extraordinary people whose words and deeds made an indelible impression will serve as welcome beacons. Find out from Michael J. Fox what sort of career woman would work tirelessly for years only to toss aside the spectacular profession she'd worked so hard and so long to achieve to run his foundation. How did Dana Reeve come to find such grit and grace when her fairy tale prince was thrown from his real-life steed, paralyzed from the neck down? What could Nelson Mandela possibly have in common with a happy little whale named Baby Beluga, the whimsical creation of songwriter Raffi? How did Stan O'Neal, the grandson of a former slave, manage to become Chairman, President, and CEO of Merrill Lynch? A book for young and old alike, My Hero is about the values that live in us all. It is a book that will inspire us to reach our own potential.